Superdry women's Eden cold shoulder dress. 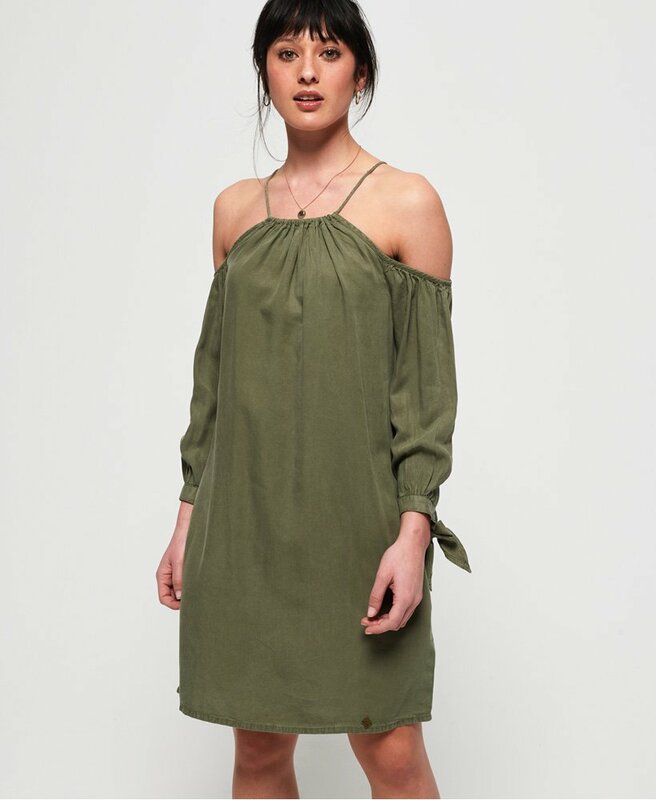 This dress features a cold shoulder design, tie fastening on the cuffs and two pockets in the side seams. Finished with a metal Superdry logo badge above the hem.